Posted on October 22, 2014 by Mandy	in Finds and tagged Beetlejuice, Children's Costumes, Costumes, Halloween, Monchichi, Spider-Man, Superman, The Hulk, The Joker, Vintage Costumes, Wonder Woman. FyndIt is a place people go to post great and unusual Finds for others to discover. With Halloween quickly approaching one of our members has put together a collection of vintage children’s Halloween costumes from the 1970’s and 1980’s. If you are looking for a costume to dress your little one up in that will stand out at the Halloween party, think about choosing a retro costume from your own childhood. 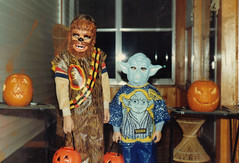 Your kid will most likely be the only one trick-or-treating in a vintage costume in the neighborhood. There is still time to get that throwback costume shipped to your door before the celebration kicks off on the 31st! Posted on October 21, 2014 by Mandy	in Comic Books and tagged Comic Books, Comics, Disney, Donald Duck, Halloween. A FyndIt member is on the hunt for a handful of collectible Disney Halloween themed comic books featuring Donald Duck and the gang. She is offering a bounty reward to the person who can help her find the comics listed below for the price and condition specified. See if you can make a couple of bucks by locating these collectible Halloween themed comic books. 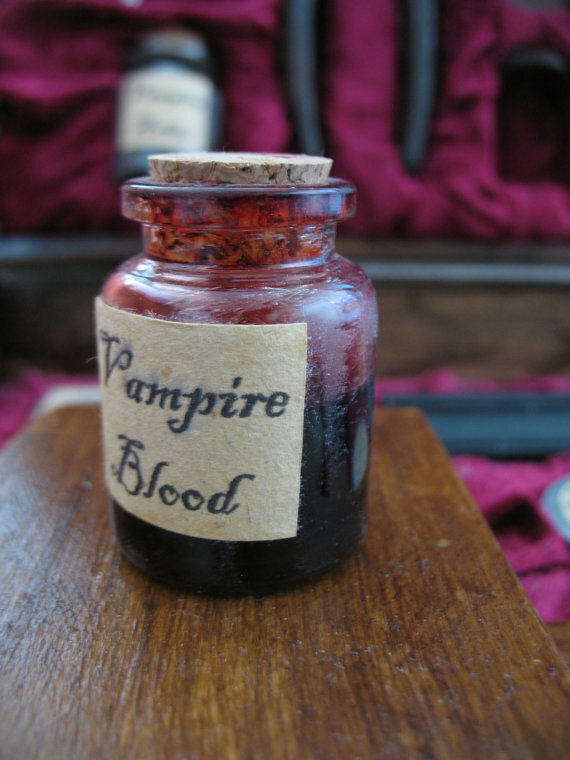 Posted on October 15, 2014 by Mandy	in Find of the Week and tagged 19th Century, Halloween, Kit, Vampire, Vampire Slayer. FyndIt is a helpful website that connects people who want stuff with the people who can find it. It’s a great place for collectors to go when they can’t seem to find what they are looking for. 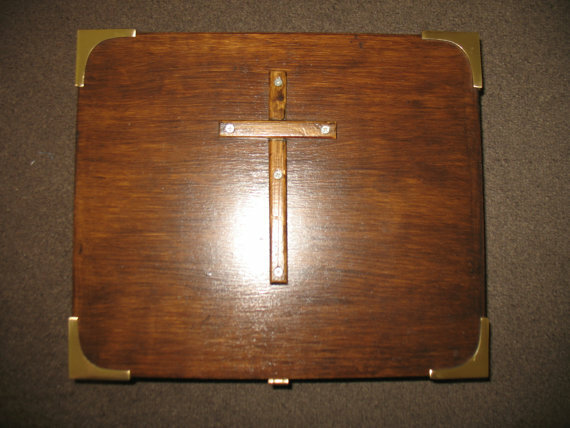 Members also use our site to showcase unusual and interesting stuff they have found. Each week we like to highlight some of the best Finds from the FyndIt community. 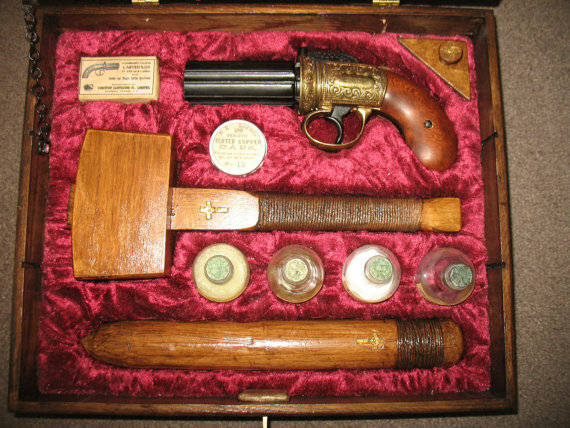 This week, one of our members posted a 19th Century Replica Vampire Slayer Kit. 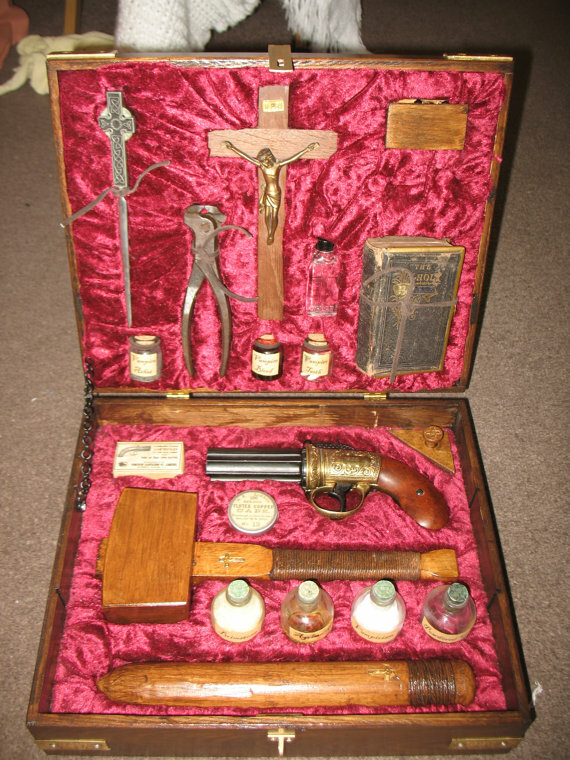 According to the description, the kit includes a wooden cross with rosary beads, a vintage Holy Bible, vintage pliers (for pulling teeth), pointed silver cross, vampire ashes (in bottle,) vampire teeth (in bottle), vampire blood (in bottle), six shot pistol (replica non firing), silver colored bullet (for pistol), paper cartridge pack (for pistol), replica percussion cap tin (for pistol), wooden mallet, wooden stake, four glass bottles that include brimstone, acrimony, vampirism and powdered garlic. 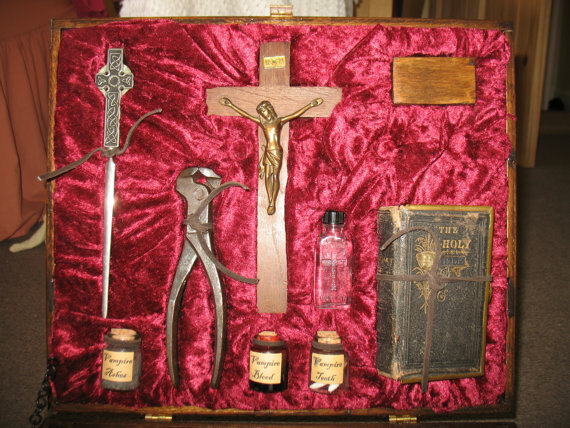 So, if there is a vampire on the loose and you need to take care of business, get your own Vampire Slayer Kit here. It also looks cool on the shelf. Posted on October 15, 2014 by Mandy	in Find of the Week, FyndIt and tagged Cereal Bowl, Collecting, Collectors, Garden Gnomes. Undead, Gnomes, Halloween, Hear See Speak No Evil, Michael Jackson, Thriller, Zombie, Zombies. Tis the season for zombies! Our community of Finders have posted some great Halloween Finds inspired by the undead. FyndIt users scour shops and online stores searching for the coolest and most unusual stuff they can find. Once they’ve discovered something totally awesome, they post it to FyndIt to share with others. Browse our list of Finds to see if there is something that you can’t possibly live without! Posted on October 2, 2014 by Mandy	in Want of the Week and tagged Arnold Schwarzenegger, Beverly Hills 90210, Candace Cameron, Children's Magazines, Collectibles, Corey Feldman, Corey Haim, Debbie Gibson, Dynamite, Dynamite Magazine, Finds, FyndIt, Head of the Class, Julia Roberts, Kirk Cameron, Macaulay Culkin, Magazine, NKOTB, Supergirl, Tiffany, Wants, Whitney Houston, Will Smith. Dynamite was a children’s magazine published by Scholastic from 1974 until 1992. It was available for purchase through Scholastic’s book club, by subscription and on newstands. The magazine featured what was going on in pop culture at the time in addition to games, activities and other fun stuff for kids. A FyndIt member and collector of Dynamite magazines has posted several issues on our website hoping that someone can help them track down hard-to-find back issues. They are offering a $10 bounty reward to anyone who can help find the specific issues listed. At FyndIt we connect people who want stuff with the people who know where to find it. If you know where to locate the following various issues, log onto FyndIt and create an account. Post your Find and if the magazines you discovered are a match, you will receive a bounty reward of $10 for each issue found and accepted. You can easily cash out your bounty rewards to your PayPal account. See if you can track down the following Dynamite Magazine back issues; #121 Supergirl, #129 The Cosby Show, #137 Kirk Cameron, #139 Whitney Houston, #140 Head of the Class, #147 Debbie Gibson & Tiffany, #148 Corey Haim & Corey Feldman, #159 New Kids on the Block, #160 Candace Cameron, #161 Will Smith, #162 Macaulay Culkin, #164 Beverly Hills 90210 and the very last issue published in 1992 #165 Julia Roberts & Arnold Schwarzenegger. Try your hand at other Wants posted to FyndIt and see if you can make a match and take home the bounty reward.